The great mystery, of course, is how and by what means the London Stage was brought to life during one of the most repressive periods in Western History. Laoutaris focuses on a small piece of that mystery, namely why the great Blackfriars theater, built in 1596 in the heart of London to stage the plays of Shakespeare, was shut down by order of the Queen’s Privy Council within weeks of its projected opening, then never allowed its use by the company that created it for almost ten years. Even the title is misleading: Shakespeare and the Countess, for of course Laoutaris, prize-winning professor from University College London, can show nothing that actually connects Shakespeare with Lady Russell or with anything, for that matter. Nor, in fact, was Russell ever a Countess, despite her great desire to be one. Nor was the move from Shoreditch to Bankside made by Shakespeare, but by James Burbage who never called himself “Shakespeare’s man.” In fact, the title is just another absurd effort, perhaps by the publisher, to use Shakespeare’s name to sell a book that has nothing to say about Shakespeare, certainly nothing new. Laoutaris’s effort to make something out of some obscure connection between a member of a remote branch of the Arden family and the Throgmorton plot, plus his attempts to interpret bits of the plays in its light is just one more effort by the Academy to turn chalk into cheese. As for “the battle,” all Laoutaris dares to describe is a minor skirmish. He’s not about to go anywhere near the real fight. All of this has been known for donkey’s years, though few may be aware that what we have today is not the original of the petition, if there ever was one, but a copy in which the signatures are all in the same hand! This is fine for those who can swallow whole the gargantuan anomaly that there ever was such a thing as a literary genius who couldn’t even write his own surname the same way twice. And although Laoutaris avoids the obvious conclusion offered by history that the closing of Hunsdon’s theater was something that Robert Cecil would have found a way to do had there never been a petition, he does provide us with some interesting new items that strengthen that conclusion. History has gone along with the petition’s claim that the issue for the signers was the noise and disruption that a public stage would create in what they wished to keep as a quiet residential district. This is a dodge for at least two reasons. First, ever since the friars departed in the 1530s, the Liberty of Blackfriars was not and never had been a quiet residential district. Established as a “liberty” by Edward I in 1276, it had ever since enjoyed the freedom guaranteed such priories to provide folks in trouble with sanctuary from arrest by local officials. As such it was a place where social outsiders of all sorts sought refuge and ways to survive. All of the theaters built in the 16th and early 17th century were built in liberties, along with printshops, artists’ studios, and a variety of small manufacturies. Second, Russell and most of her signers had personal reasons for wanting the theater shut down that had nothing to do with keeping the peace. Russell, who moved to Blackfriars in 1581 with her husband, Francis Russell, heir to the Bedford Earldom, was also attracted to what may have been the largest enclave of evangelicals to be found inside the City. Born as one of the five Cooke sisters, daughters of Sir Anthony Cooke, tutor to Edward VI, his passion for the stricter forms of Calvinism was acquired in Strasbourg during Mary’s reign along with men like John Cheke, James Haddon, John Bale, and a handful of future deans and bishops of the English Church, Nowell, Grindal, Sandys and Aylmer. This passion Sir Anthony transferred to his five daughters, whose educations in the Greek and Latin fundamentals of Church history placed them at the forefront of English evangelism. 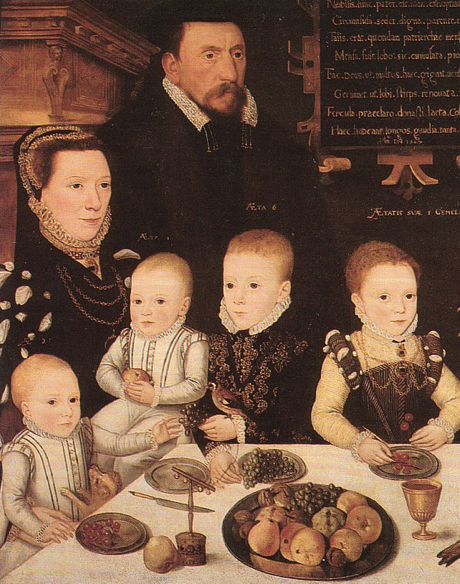 Four were then married to men who would soon be raised to power by Queen Elizabeth: Mildred to William Cecil Lord Burghley, Anne to Sir Nicholas Bacon, Catherine to Sir Henry Killigrew, and Elizabeth, first to Sir Thomas Hoby, then to John Russell, heir to the Earl of Bedford (who unfortunately died before his father, thus cheating his wife out of the title of Countess). Elizabeth in particular used her education and language skills to wheel and deal within a governing community uniquely trained to respect such things. Immediately upon moving to Blackfriars in 1581, she did what she did wherever she went, she took over the leadership of the little St. Anne’s congregation, where she encouraged the hiring of radical ministers. Blackfriars had been attracting radical protestants ever since 1550 when Edward VI’s grant of the district to Sir Thomas Cawarden, his Master of the Revels and a committed evangelical, gave him the freedom to dismantle the monks’ great church, mansions and quadrangle, and begin the process of rebuilding that resulted in the warren of residences, shops and little gardens that the precinct had become by the time the Russells arrived. For himself Cawarden had reserved one of the grander mansions and, as Master of the Revels, the west wing of the monks’ quadrangle which Henry VIII had used to store his party equipment. Bequeathing most of it to his neighbor and fellow evangelical, Sir William More, it was More who in 1576 had rented the old Revels apartment to Richard Farrant and his patrons for the little school that they turned into the first private theater in London. By 1581, when the Russells arrived, the little school’s rehearsal stage had been entertaining the surrounding community for almost five years, and, as Laoutaris notes, without complaints from their neighbors. Lady Russell was bound to find the theater offensive; as a devout puritan she would have been against all theaters, and particularly alarmed by their increase. Still, she might have found it the better part of valor to have held her tongue, considering that so powerful a member of the Queen’s privy council, Baron Hunsdon, was involved in creating the Second Blackfriars theater, particularly since her son, Sir Edward Hoby, was married to one of his daughters. Instead she felt Lord Hunsdon’s presence as a threat to her control of the precinct. Laoutaris provides a quote from her letter of January 27, 1596, in which she urges Cecil to appoint the Earl of Kent to a particular position, “I beseech you, quod facis fae cita [whatever you do, do it speedily] or I fear one of the tribe will be before him Hercules Furens [with the energy of Hercules]” (228). Laoutaris explains that by “the tribe” she meant the “Tribe of Dan,” which he has discovered from other letters was code for Hunsdon and the Carey family. Russell, bent on using her influence with her relatives to bring Calvin’s Dream to life in England’s green and pleasant land, was using her connection to the Cecils to get fellow members of “the Elect” into as many key government positions as possible. Laoutaris doesn’t bother to parse this, but what it suggests is that to Russell and her sisters, who saw all personalities and current events through the lens of their interpretations of the Bible, the Carey family were the equivalent of the biblical “tribe of Dan,” meaning that they were nonbelievers, Canaanites, Philistines, whose purposes were antipathetic to Calvin’s Dream. To the Crown politics in which she was ever inclined to dabble was added her attempts to control what happened within her local precinct, and to the moral disapproval of plays in general was added the religious loathing of a dyed-in-the-wool Calvinist. For Lady Russell, the petition probably had very little to do with noise. In January of 1596, Hunsdon still held the lofty post of Lord Chamberlain of the Queen’s Household. Two years earlier, it was he who had organized the Lord Chamberlain’s Men, and who, throughout the late 1580s, had become holder of the lease to the little school stage, the First Blackfriars Theater. By the time Russell created the infamous petition, Hunsdon had added to his earlier holdings other properties surrounding the Old Parliament building, doubtless as a move towards turning it into the great theater that he and Burbage were planning to establish within the City proper. Thus it may well be the case that in 1596, Russell had cause to see Hunsdon, not only of the “Tribe of Dan,” but as dangerously intruding into what she felt belonged to her and God. By January 1596, when she wrote so dismissively of Hunsdon, the Court was being split down the middle by Robert Cecil’s power struggle with the Earl of Essex. With so many members of the Court community married into each others’ families, the split tore families into warring halves, particularly along generational lines, the older and more conservative standing (not always happily) with the Cecils, while the younger generally backed Essex. Russell’s family too was split down the middle, her sister Anne Bacon’s sons, Anthony and Francis, siding with Essex, as did her nephew Edward Russell, 3rd Earl of Bedford, and her son Sir Edward Hoby. The only one who stuck with her and the Cecils was her youngest son Sir Thomas Posthumous Hoby. Outraged by the disloyalty of her family members, Russell was driven ever more furiously to advise her nephew Robert Cecil, perhaps because he was positioned to get her what she wanted, and what she wanted at the moment was control of Blackfriars. But by November, Cecil having finally been appointed to the post for which he’d been striving the past six years, that of the all-powerful Secretary of State, it may be that the petition was not all that necessary, since Hunsdon was dead by then (having been suddenly taken ill after dinner, two weeks after Cecil’s appointment), and with Cecil’s father a permanent Council member, and Cecil’s own father-in-law, William Brooke Lord Cobham, given Hunsdon’s place as Lord Chamberlain, the Privy Council was now so heavily weighted in favor of the Cecils that Robert could probably have managed to get the theater closed without any help from his aunt. Laoutiras, of course, like most literary historians, has no grasp on the politics involved in the Cecil’s efforts to gain control of the London Stage, no notion of what it would have meant to Robert Cecil to have to face Parliament in October 1597 for the first time as Secretary of State, aware that as soon as the session was adjourned for the day, the MPs would be headed for a stage dominated by his enemies, one of them being the Lord Chamberlain’s Men’s primary playwright, his brother-in-law, the Earl of Oxford. By the early ’90s the Cecils had seen to it that Oxford could no longer use his credit as a peer to continue to support the Stage, but short of killing him, they could do nothing to prevent him from writing the Henry IV plays with which, the winter of 1596-97 he and his actors destroyed the reputations of his father-in-law, Lord Chamberlain William Brooke, and Brooke’s son, Henry Cobham. Whether or not Cecil was responsible for the death of Lord Hunsdon, or six months later the death of James Burbage, or two years earlier the death of Marlowe’s patron Lord Strange, or three years earlier, the murder of Christopher Marlowe, or six years earlier, of Francis Walsingham, each death dealing a devastating blow to the London Stage, it would have been hard for the theater community, both actors and audience, not to have been suspicious. When certain writers and actors retaliated that summer with a play titled The Isle of Dogs, a title that points to Marlowe’s murder, Cecil closed all the theaters, forcing the entire theatrical community to hit the road. So when the Lord Chamberlain’s Men returned in the fall to a West End filled with MPs gathered for Elizabeth’s ninth Parliament, they came loaded for bear. With their livelihood threatened, and their manager and major patron both dead, the actors hauled out the big gun, devised over the summer by their great playwright, and aimed it right at Cecil. A version of the True Tragedy of Richard III had been revised into his caricature. Having been given by one of their supporters space to perform in one of the mansions on the river, the MPs hadn’t far to go to see Richard Burbage, cast as Richard III but dressed and behaving like Cecil, create the role that would bring him permanent fame as a great actor. And there wasn’t a damn thing Cecil could do about it. He had to ignore it. Retaliation would only confirm it. His revenge would be to erase every trace of Oxford’s connection to the Stage from the records collected by his father or within his power to survey as Secretary of State, Lord Treasurer, Master of the Court of Wards, and Chancellor of Cambridge University under King James. As for their seeming disloyalty to Shakespeare in signing Russell’s petition, Laoutaris understands that by November 1596, both George Carey, the new Lord Hunsdon, and Richard Field were in something of a bind. He details how Cecil undercut Carey, how Cecil blocked his inheritance of any of his father’s offices so that all that stood between him and bankruptcy were his desperate letters to Cecil, begging his help in relieving what he termed “the burden of a naked honour,” pleas that “fell on deaf ears,” while Cecil insinuated to Elizabeth that “some thought” that Carey was behaving in a treasonable fashion. As Laoutaris puts it, in November 1596, “Hunsdon was walking a tightrope. He could not afford to anger the Queen or his mediators in the Cecil faction [meaning Russell]. His livelihood depended on it” (241-2). As for Richard Field, first of all it must be said that printers in general were rarely bound by their personal religious or political affiliations. Printing was a business and so long as a book was properly registered with the Stationers, they were bound to print it. Now in his forties, with his own printing establishment and a family of his own, Field desired to be seen as a respectable member of his community. In addition, by 1592 he had become an important member of the St. Anne’s congregation. Nor was this purely a business move, for years earlier he had been apprenticed by his father, the tanner of Stratford, to the London printer Thomas Vautrollier, a Huguenot who had fled religious persecution in France in the early 60s, when, with Burghley’s protection, he became the leading printer of works of Protestant theology. Thus Field was an evangelical by persuasion, not just because of where he was located. And finally, if he had ever had a particular relationship with the Earl of Oxford, or at any time had looked to him as a patron, by 1596 Oxford himself was in so much trouble that he would have been useless to someone like Field. There is much of use in this book, for, however inadvertently, Laoutaris includes details that are important to the fullest possible picture of the period, particularly of the family into which Oxford married, and which both made it possible for him to create the London Stage and prevented his getting much satisfaction from it, including the credit for creating it. The only problem for those of us in search of such details is the miserable style in which so much of it was written. The old universities are deeply conservative in nature, adhering to traditions that go back to their origins in the Middle Ages. When changes do come they are often more apparent than real, resting on a hidden bedrock of long-forgotten mores and prejudices. Until the 19th century, although Latin plays by Plautus and Terence had long been performed and studied, plays in “the vernacular” (English) were looked down upon. In Shakespeare’s time, plays in the vernacular were performed in Cambridge and Oxford at halls in town, not at the universities, and when students were caught attending them, they were punished. In fact, players were routinely paid by the universities to not perform, to––as one 16th-century paybook entry put it––“depart with their plays without further troubling the university”! When the great Shakespeare scholar Edmund Malone bequeathed his collection of works by and about Shakespeare to Oxford University in 1821, they paid no attention. No doubt we should be grateful that they didn’t sell it “for a song,” as the Bodleian sold its single copy of the First Folio as soon as it got a copy of the Third Folio (it never bothered to get a copy of the Second Folio). It was not until 1863 that scholars from one of the universities (Cambridge) began publishing the first university-sanctioned series of his works. It wasn’t until 1886 that the great Shakespearean actor Henry Irving was invited by an Oxford professor to speak to a university audience about the Bard, though neither he nor any of his fellows had yet been allowed to perform Shakespeare on campus. Why then should we be surprised that it’s taking so long for the universities to admit that they’ve been hornswoggled into giving the wrong man credit for the plays? If we feel frustrated, think how 18th century writers like Pope and Johnson and 19th century actors like Garrick and Kean must have felt by the academic stone wall they faced on the question of Shakespeare’s value? It was popular interest in the plays, finally republished by Malone in the original unbowdlerized form in 1790, initiated by poets, performed by actors, and produced by impresarios, that finally cracked through the academic wall. Spurred by the surge of pride in English history and literature that attended the growth of the Empire, the British made an icon of the shadowy figure who, more than any other single individual in their history, created the language they spoke at home and in Parliament, read in the newspapers, heard on the stage and wove into poetry, the language that within another hundred years would spread to become the lingua franca of the entire world. They made him an icon, but they still knew nothing about the man himself. It seems there was next to nothing written about him by his contemporaries, no literary letters to or from this most peerless and, according to Ben Jonson, prolific of writers. Nobody in his home town seemed to remember anything about him, certainly nothing that connected him with the London Stage. No anecdotes about him or his family had been passed down through the generations that connected him in any real way with a career in literature and the theater. There was no evidence that the man whose plays had entertained England’s greatest Queen had ever met her, or even that he himself had ever appeared at Court. In fact, the few anecdotes that had surfaced about William of Stratford tended, if anything, to suggest a rather unsavory character, one with a reputation for hoarding grain in time of famine, for cheating on his taxes and dunning his neighbors for small loans. His one friend seemed to be the local loan shark. No local documentation mentioned his writing, while, apart from the dedicatory poems that prefaced his collected works in 1623, those that dealt with Shakespeare the poet never said anything about Stratford. Embarrassed, his biographers ignored the anomalies, attributing them to the normal attrition of Time, and began the tradition of inventing a biography out of anecdotes, conjectures, and a large dose of local color, a practice that continues to this day. In fact, the universities of the 19th century were, if anything, relieved that so little was discovered. There was that awkward business of the Sonnets, 126 passionate poems addressed to a youth, possible evidence of “disorderly love.” Tch tch. The less said the better. During the most homophobic period in human history (Crompton), the English universities planted a hedge between the works and the biography of Shakespeare which they have steadfastly nurtured ever since. But leading 19th-century poets, playwrights, theater impresarios and psychologists, men and women with real experience of writing, the entertainment industry, and the human psyche, refused to accept the Stratford biography. Many of them asked the right questions, but when some began promoting the wrong answer, the authorship question itself suffered. Francis Bacon was a great figure in English literature, and the questions his supporters have asked about his career continue to call for an answer, but Bacon’s voice is not the voice of Romeo, Hamlet or Lear. Shared tropes, shared viewpoints, suggest acquaintance, shared sources, shared educations, perhaps friendship, even partnership––not identity. Not until 1920 was the first truly viable candidate revealed, discovered in the pages of an anthology of English poetry by an English schoolmaster with the unfortunate name of Looney. No wonder it was so hard to find Shakespeare. He had been hidden, effectively and on purpose, either by himself or by members of his community who were experts at hiding things. But why? The man who eventually published his work under the charming pun name “Will Shake-spear,” shook his spear in the most dynamic arena that was available to him at the time, the public Stage, but the question remains, for what causes did he “shake” that “spear”? It’s hard for the modern mind to grasp the power of the Stage in 16-century England. From our point in time, it can only be seen in the negative, through the diatribes directed against it by moralists and Puritans and by the frequent efforts by the City and the Crown to control it by means of one ordinance after another. (E.K. Chambers devotes an entire section of his four-volume work on the Elizabethan Stage to these “Documents of Control.”) The stage was the TV, the movies, the internet, the CDs and video games of its day. Not until the invention of the radio three and a half centuries later would human communications take a quantum leap like that of the commercial Stage in London in the 1580s. It took a hundred years for the printing press to change the culture. It took a mere decade for the commercial stage to move from holidays-only to daily performances, from the courtyards of inns and the halls of the wealthy to half-a-dozen public theaters going all week long––with thousands seated at every performance. We speak of “the Media” today, by which we mean a combination of newspapers, magazines, television, film, and the internet. In Shakespeare’s day the commercial stage alone was the Media, the brand new Fourth Estate that was rapidly growing to match in power the often termed three estates of government: Executive, Legislative and Judicial. [The medieval Three represent a class division: the Nobility, the Church, and the Commons.] Newspapers did not yet exist. Pamphlets, the first peeps of what would someday be magazines, were confined to the still small percentage of the population that could read. Plays, on the other hand, were for anyone who could afford the price of a penny. Issues of politics, religion, social commentary and character assassination were cloaked in analogies and metaphors so that they might slip past the censor, the Court-appointed Master of the Revels. What issues were these? The answer lies in the history of the times. Isn’t it time we put two and two (the plays and the history of their time) together and came up with the truth? Did Shakespeare die on the 24th of June? Highly unlikely! We’ve just passed one of the two major turning points of the ancient festal year, June 24th, Midsummer’s Day. The modern world pays little attention to this annual event, but that was not the case in Shakespeare’s day, as we see from the title of one of his most festal plays, A Midsummer Night’s Dream. As with several of the ancient festal holidays, the solemn, or sacred, aspect of this annually-recurring moment (the summer solstice) was traditionally preceded by a day, or in this case a night, of merry-making. How likely is it that the death of the greatest literary artist ever produced by the West occurred on this of all days? Just as the ancients assigned its opposite, the 24th of December, to the eve of the birth of Christ, they assigned June 24th to the birth of his cousin, John the Baptist. Whatever may have been the true role played by John in the advent of the Christian Messiah (something that has caused a good deal of controversy and will probably never be settled), there’s no doubt that he was a hugely important figure in his time and for centuries afterwards. Da Vinci for instance is thought to have been a member of an underground society dedicated to his worship, which has been connected by modern mythologists with the Greek god Dionysos, whose power was dramatized by Euripides in 405 BC in The Bachae. The Templars, whose beliefs, acquired from Arab mystics during the Crusades, survived annihilation in the 13th century to resurface four centuries later as Rosicrucianism and Freemasonry, held John as their patron saint. The first English Masonic Grand Lodge was formed on June 24, 1717. Rosicrucians trace their English roots to Francis Bacon, whose candidacy as Shakespeare owed a good deal to the hints they found in Shakespeare’s works of similar beliefs. In particular Sonnet 125 reflects the language and images of a Masonic ceremony. One of the problems with both the Stratford myth and the attempts by Oxfordians to displace it is that everyone seems to forget that with Shakespeare we’re dealing with a genius! The Stratfordians have tied him down, like Gulliver, to a level equal to their own: a hack who sold his craft for money, a plagiarizer of lesser writers who began by revising the works of earlier unknowns. Oxfordians, not much better, remain tied to their argument with the Stratfordians, unable to let go of what bits and pieces were bequeathed us by the Cecils and the historians who clung to the paper trail they so artfully manipulated, so that, using our native common sense together with a broader historical background, one that surpasses what the Cecils could control, allows us to see him for who he really was. The fact that that he, and only he, could possibly have done what the orthodox have assigned to dozens of other writers, innovators, patrons, publishers, theater builders and managers, many of them nothing more than figments of their own seriously limited imaginations. As one of the greatest dramatists of all time, as well as greatest of historians and philosophers, Death stalked almost everything Shakespeare wrote, just as it stalked everyone in his audiences, from courtiers to printers’ devils. All of his tragedies and many of his dramas deal in one way or another with death, with its role in life, and––most subtly due to the religious constraints of his time––with what comes after. As for his own death, the deaths of geniuses are almost as significant as their lives. Did Jesus just happen to fulfill the prophesy of Isaiah by coming to Jerusalem when he did? Lord Byron, whose life so closely parallels that of Edward de Vere (pron. d’Vayer), certainly orchestrated his own death as a call to arms to the intelligensia of Europe to free Greece, ancient parent of the English culture, from centuries of Turkish tyranny. None of this would matter had there been sufficient evidence that de Vere actually died on the date that history assigns him. That he happened to die on a day central to the worship of John the Baptist, aka Dionysos, god of merry-making, whose festal date was the occasion for most of the ancient Greek dramas that we see as fundamental to our theater today; this would simply be a coincidence, however astonishing. But evidence is lacking! What there is is only what could easily have been patched together by family members and patrons in high places, out to give him a few years of peace and privacy, safe from those who wanted to kill both him and his great work, so that he could finish what we know as the Shakespeare canon, foundation of the language we speak and all the great works of literature that have followed. These two pieces of the Shakespeare puzzle: the anomaly of his death and the nature of the date he supposedly died, taken together, were a trumpet call to examine the possibility that, like Byron, knowing his mortality was nigh, he chose to die in his own way and in his own time. Added along the way have been other puzzle pieces, the strange behavior of Robert Cecil as soon as the word went out that Oxford was dead, arresting Southampton (the Fair Youth of the Sonnets) on June 25th so that he could examine his papers in case he was holding some of the plays; the plot of Measure for Measure, performed the night of Oxford’s daughter’s marriage to the Earl of Montgomery (one of the patrons who had secured his safety), in which Duke Vincentio, the “duke of dark corners,” retires from his official duties in exactly the same way we’re suggesting that Shakespeare retired from his, in the only way he could; and finally the fact that one of his ancestors, an Earl of Oxford, had “died to the world” in a way that was no longer available to de Vere, by joining a monastery. And there are a number of other, if lesser, puzzle pieces that fit with this scenario that otherwise have no place and must be left aside. Why do I call him Shakespeare and not de Vere? Because Shakespeare is not just a pseudonym, purchased by the Lord Chamberlain’s Men from William of Stratford so that the plays could be published. Shakespeare the playwright is a being with his own history, an entity as real as Dionysos was to the Greeks or John the Baptist to da Vinci, or Jesus to Christians today. Half human (de Vere), half fiction, Shakespeare (the Poet) had, and still has, a life of his own. He is an immortal that, if anything, was for his creator more like one of the personalities that manifests in people with multiple personality disorder. When de Vere took up his pen, the “spear” that he “shook” in defense of merry-making and platonic love, he was, while engaged in the pursuit of the dramatic truth that he shared with his admired forbears, Euripides, Plautus, and Terence, another, and better, being. Diana Price has come out with a new edition of her 2001 Shakespeare’s Unorthodox Biography. Having missed the first edition, here was my opportunity to get what must be one of the most important books on the Authorship Question ever published. For those who haven’t yet read it, particularly those who enjoy fencing with Stratfordians (which I don’t), I urge you to get it, read it, and keep it handy, for it is certainly the definitive text on why William of Stratford cannot possibly be the author of the Shakespeare canon. By eliminating the emotionally touchy issues that surround the various candidates, Price allows nothing to take precedence over the stone cold irrefutable fact that William could not possibly have written the Shakespeare canon, or anything else. “Why not William?” must always be answered before readers will be ready to hear who actually wrote the works that bear his name. Nobody has nailed this primary issue like Price. Detailed on every point, her scholarship––cool, orderly, thorough, exhaustively supported with solid citations––sets a high mark for the rest of us. From the lack of any evidence of an education, to his disappearance from London just as the plays that bore his name were hitting their peak of popularity, to the death that went totally unremarked by what had become the vast audience for his plays, she leaves no tern unstoned. Ah, would that were the end of it! So long as she wields this end of the stick she can’t be faulted, but unfortunately she must needs turn an utterly convincing localized effort into a self-contradictory theory of everything, ending up in the same weeds where her Stratfordian opponents continue their endless circling. It would seem that in every respect except the authorship itself, Price is no less a Stratfordian than the academics she scorns, accepting every single darn thing they’ve come up with in centuries of making bricks without straw. For Price, both Shake-scene and Poet-Ape represent William, a Frankenstein’s monster patched together from every ambiguous figure lurking within the epigrams of his own time and the conjurations dreamed up by centuries of confused theorists. There’s no real harm in this (to anyone but Price herself), since most of what can’t be disproven can’t be proven either. However, her notion that William was a hard-nosed financial wizard who bought his way into the Lord Chamberlain’s Men, and then used and abused the connection to make hay for himself by brokering old plays and costumes, is a genuine threat to the truth. This theory, to which she devotes many pages, is demonstrably without any basis whatsoever in fact. It’s true that William was as tough-minded as any other businessman when it came to his dealings in Stratford, but there’s nothing to suggest that, until he was adopted by the Company at some point in or shortly before 1595, he had so much as a shilling to invest in anything. One of the few facts about the life of William of Stratford, repeated in every account from Nicholas Rowe on down to Sam Schoenbaum, is that Shakspere Sr., who throughout William’s early childhood shows up in the record as a successful local entrepreneur, had fallen on serious hard times by the time his son was twelve. By the 1580s, selling land and dodging creditors had become a way of life for the Shakspere family (Schoenbaum A Documentary Life, 36-40). Reasons for this loss of standing have caused considerable conjecture over the centuries, suggesting to some that they were Catholic recusants, to others radical dissidents. Whatever the reason, there can be no doubt that the Shaksperes were in financial trouble until suddenly, at some point in or shortly after 1596, there was enough money that William was able to buy the second biggest house in town and invest in its renovation. By then he was in his thirties, so had he been the financial wizard of Price’s imagination, his name would have begun to appear in records of local business transactions well before 1596. That this upsurge in solvency is directly connected to the creation of the Lord Chamberlain’s Men in June of 1594 is proven by numerous records, both then and later. Dates don’t lie. Price’s notion flies in the face, not only of this well-documented fact of his family’s indebtedness, but also what is known of the structure of the Lord Chamberlain’s Men. As noted by everyone who has studied what evidence there is of Shakespeare’s company––most recently Andrew Gurr in The Shakespeare Company (2004)––funding came from the sharers, that is, the six to eight highly-skilled actors who played the leading roles created by Shakespeare (the playwright). This may be questionable: one of the missing elements in the story as its been told until now is the part played in the Company’s evolution by its wealthy Privy Council patrons. But this lack of patronage can hardly be resolved by casting the impoverished William as the missing patron. True, his name does appear in the record on several occasions as a member of this core group of sharers, but even if, let us say, he did supply his share (£100) to rebuild the Globe when it burned down in 1613, the other half of the equation is missing, for time has produced nothing that supports the Company’s claim that he was an actor. While others have pointed to the fact that, unlike every other member of this core group, all of whom have proven track records as actors with other leading companies before they were recruited by the Lord Chamberlain’s Men, the name William Shakespeare is not to be found in any theatrical record until 1595, nor has it ever been connected with any other acting company, nor by any contemporary with any particular Shakespearean roles, as is true of most of the genuine actor-sharers. The one or two references to him as an actor at the time, made in passing, can all be seen as reflecting the role the Company chose to explain his presence, for proving that he was not an actor was just as impossible as proving that he was not a playwright. In fact Price herself explains in detail why William could not possibly have been the actor the Company would have us believe (32-5). Noting how during periods when they would have needed all their actors in London, she shows how Schoenbaum locates him in Stratford. During the winter season of 1597-98, while the Company was performing for the Court from late December through February, records in Stratford have him stockpiling grain and purchasing stone for New Place (Schoenbaum 178). Since it was a two to three-day trip each way from Stratford to London and back, perhaps longer on icy winter roads, that he could have dashed back and forth is so unlikely as to be impossible. Shortly after the immensely important occasion of King James’s initial procession through London in March 1604 (for which all the sharers, now the King’s Men, were provided with red and gold livery), it appears that William was in Stratford selling malt (a component of ale) to a local apothecary (34), something that required his attention through June, a period when the Company was busy reopening the Globe after the plague closure of the previous year, and during which several Shakespeare plays were performed at Court for the Company’s all-important new patron, King James. So unavailable was William for this last, as its playwright anyway, that the clerk that noted the plays that would eventually bear his name, spelled it Shaxberd. William did not pay––he got paid. William’s fortune did not come to him from any enterprise he’d undertaken before signing on with the Lord Chamberlain’s Men. To make money it’s necessary to have money, something it’s clear that neither he nor anyone in his family had until he was taken on by the actors. Yes, he was a hard-nosed businessman, and never more so than when he was squeezing them in exchange for remaining silent about the authorship! From his first notice in the Revels warrant in 1595 until his death in 1616 (and probably until the death of his wife shortly before the First Folio was published seven years later), from first to last, all records of his investments can easily be seen as the Company’s investment in his silence. Had he been the investor she imagines, had he been the sharer he was made out to be, he would have left shares in his will, as did the real sharers, the actors. Since no books have survived to reveal how Hemmings, the Company’s manager, handled the flow of funds from at first, just the box office, then after the creation of the Globe, the added portion taken by the house, we have no way of knowing how he managed William’s portion, but that it was not handled in the same way that the money was distributed to the real actors is clear from the absence of any shares in William’s will and no record of any sale of his shares, as there is with the others. Dealing with William, as with all supernumeraries whose work assisted the production of their plays, fell to Hemmings. The Mountjoy family, with whom William resided during a brief period in the early 17th century, lived right around the corner from Hemmings. As costumers, the Mountjoys were the sort with whom Hemmings dealt on a daily basis, along with stagehands, scriveners, carpenters, and so forth. Having divested him of his role as playwright and actor, Price would like to be able to provide him with role with the Company that readers can trust, but because, like the Stratfordians she disdains, she doesn’t know enough about the period to perceive behind the fudging and side-stepping that characterizes all the connections between the Company and the Crown, the deeply political nature of the Lord Chamberlain’s Men, and their driving need to find a cover that allowed them to get their plays published. Nor, like most Oxfordians as well as Stratford defenders, does she understand the uses of a name that can be read as a serious name by the public and a pun name by the cognescenti. William was hired by the Lord Chamberlain’s Men (probably in fact by Hemmings, whose hometown was Droitwich, a few miles northwest of Stratford) for the use of his name––and for nothing more! Everything else, the suggestion that he was a sharer and an actor, was window dressing. As he provided the necessary cover for their playwright, the terms “sharer” and “actor” were covers for his real purpose. It’s not possible to cover all the odd postitions taken by Price in her effort to provide a theory of everything, but one more will at least give a sense of where she tends to go awry. For instance she accepts Warren Austin’s assertion that Greene’s Groatsworth was written, not by Robert Greene, but by Henry Chettle. Only those who have poked around in the primordial ooze where issues pertaining to the creation of the English periodical press remain seemingly forever bedded, will grasp the strangeness of this choice. While the three names that dominate this branch of the larger authorship question––Greene, Nashe and Harvey––display anomalies similar to those that have led to questioning William of Stratford, works published as by Robert Greene are not only coherent in subject matter and style up to and including Groatsworth, as the dominant name in English literature throughout the decade preceding the advent of Shakespeare, his name on some 36 works of combined prose and poetry (the five plays were attributed to him posthumously), why on earth pass off this final bit of his canon (meant to be seen as final anyway) as the work of someone as inconsequential as Henry Chettle? Maybe Austin was right; maybe whoever wrote Kind Heart’s Dreame also wrote Groatsworth, and almost everything else that was published in pamphlet form at that time, but in the morass of confusion that the true authors of these early pamphlets have left us, the truth about Chettle is not something that Price, or anyone who has written on the subject, has come close to resolving. Nor will they until they begin to ask the same questions about these writers that have led us to the truth about Shakespeare. Price takes her argument against William up to the door of the Court, which is where she leaves it. She makes a case for why the true author had to be a courtier, but will not suggest which one. Ignorant of the politics of the period, she can give no solid reason why this unnamed courtier should be so reluctant to be named as a poet or a playwright, nor why the cover-up should have continued so long past his death. Time has shown that nobody today really buys the notion that this long enduring cover-up was due solely to the “stigma of print,” nor should they. There were plenty of other reasons, personal as well as political why the true author, his family, his actors, his patrons, his in-laws, his monarchs Elizabeth and James, could not and would not ever allow his name to be connected with his works––deadly serious reasons, that no one writing about this today, ignorant of the history of that period, knows or apparently cares to pursue. The problem for Price, as it is for all who have found it expedient to set the question of the true author aside, is that minus the genius who created the London Stage with his magical works, there is no story. Efforts to create one without him inevitably fall apart like dough made with all flour and no fat. As Yeats might have put it, “the center cannot hold, mere anarchy is loosed upon the world.” Price has supplied the “rough beast, his hour come round at last,” but who needs him? Who wants him? Where is the heartbeat, the thrill, the glory of great achievement in the face of devastating opposition? Even if there were any truth to her scenario, of what use is it? Without the author, his story, his relationship to the Stage, the Court, the Inns of Court, the Crown, the commercial periodical press, you end up with a three-legged table. With the most important leg missing, the table may fit in with your decorating scheme, but if asked to support anything greater than itself, over it goes. History requires a leading figure, a protagonist. What would the history of the American Civil War be without the personalities of Lincoln and Lee, John Brown and Stonewall Jackson––a mere string of dates and names of battle locations. We care about the Civil War because of the stories that came out of it, stories of life and death, of great courage in the face of great danger. What is the life and death issue here? Where is the hero? Where is the story? William is in the way. Price has removed him. That’s all she’s done, and it’s enough. Long ago, in the timeless realm we call Literature, a certain fox, we’ll call him Reynard, dragged a stinky red herring across the trail of a certain Court poet, sending the yelping hounds who were after his identity up a false trail, where they’ve been barking up one wrong tree after another ever since. That red herring was the name William Shakespeare. Dragged across the poet’s paper trail––the published plays that in performance, twenty years earlier, had launched the London Stage, it did what it was meant to do, it gave the author and his company the freedom they needed to keep on producing the plays that gave the actors a living and their world a good cry, a much needed belly laugh, and those inclined to philosophy something to think about. This red herring was successful in protecting the true author from the rage of the puritans who ran the nation, uptight ideologues, hungry for social power, who feared and hated the forces unleashed by the London Stage, forces that we know today as the English Literary Renaissance. Unable to control it they sought to kill it. This protective maneuver on the part of the Company, probably born of exigency, a dodge put into effect during a moment of desperation, perhaps not intended to last as long as it has, has in fact lasted for centuries. Despite the evidence that’s been provided over the past 200 years, it seems we are still stuck in a scenario where the hounds continue to chase each other around in circles, only now there’s a herd of authorship scholars who follow after them, their shouts unheard in the clamor. Isn’t it about time we put an end to this absurd waste of energy? I say leave the hounds to their sport, stop confronting the ersatz gurus of the Birthplace Trust on their territory, something that does nothing but distract us from the real field of inquiry. Leave the English Departments to their publications and pronunciamentos, and take the issue to where it should have been from the begining, to the political history of the period when Shakespeare was writing. When you haven’t enough data on a topic of interest, you turn to what we call “proxy data,” material that surrounds the issue, that doesn’t touch on it directly, but that if put in place, shows the shape and nature of what’s missing. If you can’t find enough material to work from the inside out, work from the outside in. It’s time to turn away from the failures of the university English Department, and walk across the hall to the History Department. We have the plays; what does it matter who wrote them? It matters!! Only a culture that has allowed its literature to become divorced from its history could tolerate such a remarkably stupid credo. Divorced from history, from the ground out of which it grew, literature loses its relevance. Divorced from literature, the stories that bring a particular time and place to life, history loses the pulse of life. Bereft of the human drama that gives it meaning, history is little more than a laundry list of dates and names. Divorced from each other, both lose their purpose, their true meaning. This divorce was actually taking place during the time that Shakespeare (we’ll have to call him that), was writing and his Company, the Lord Chamberlain’s Men, later the King’s Men, was producing his plays. Ancient studies were being divided: religion into superstition on the one hand, the early Church fathers on the other; alchemy into philosophy on the one, the science of chemistry on the other; astrology into folk psychology and medicine on the one, the science of astronomy on the other. Similarly history was being divided into story on the one hand, historiography on the other. This division of inherited materials into literature over here and history over there was eventually enshrined in the university curriculum, and from there into the secondary schools where it continues to discourage young people from developing an interest in either Literature or History. Poetry, as Quintilian writeth, is another part of grammar, not a little proud . . . that in times past the theaters and amphitheaters, the goodliest buildings of men, were erected not by philosophers, not by lawyers, . . but with exceeding great expense by the fables of poets, an art that was devised to no other end but to please the ears of foolish men with wanton rhythms, with measures, and weightiness of syllables, and with a vain jarring of words, . . . to deceive men’s minds with the delectation of fables . . . . Wherefore it [the Stage] doth deserve to be called the principal author of lies, and the maintainer of perverse opinions. the multitude that flocketh to them and followeth them; behold the sumptuous theater houses, a continual monument of London’s prodigality and folly. But I undersand that they are now forbidden because of the plague. I like the policy well if it hold . . . for a disease is but . . . patched up that is not cured in the cause, and the cause of plagues is sin,. . . and the cause of sin are plays; therefore the cause of plagues are plays. Cooks did never show more craft in their junkets [desserts? sauces?] to vanquish the taste nor painters in shadows [paintings] to allure the eye, than Poets in Theaters to wound the conscience. There set, they abroche strange consorts of melody to tickle the ear, costly apparell to flatter the sight, effeminate gesture to ravish the senses, and wanton speech to whet desire to inordinate lust. . . . Let us but shut up our ears to Poets, Pipers and Players, pull our feet back from resort to Theaters and turn away our eyes from beholding of vanity, the greatest storm of abuse will be overblown and a fair path trodden to amendment of life. Were not we so foolish to taste every drug and buy every trifle, Players would shut in [up] their shops and carry their trash to some other country. As there be those that rail at all men, so there be those that rail at all Arts, as Cornelius Agrippa [in his] De vanitate scientiarum, and a treatise that I have seen in dispraise of learning, where he [Sanford] saith, it is the corrupter of the simple, the schoolmaster of sin, the storehouse of treachery, the reviver of vices, and mother of cowardice, alledging many examples, how there was never man egregiously evil but he was a scholar; that when the use of letters was first invented, the Golden World ceased, Facinusque inuasit mortales: how study doth effeminate a man, dim his sight, weaken his brain, and engender a thousand diseases. Thus wrote Burghley’s nephew in 1586, when the London Stage was in its ninth year, teetering on the verge of disaster. Written while the nation was suffering the increasing severity of Burghley’s war on Catholic recusants and puritan dissidents, six years after his brutal execution of St. Edmund Campion and nine before the equally brutal execution, by his son Robert Cecil, of the Jesuit poet Robert Southwell, we should consider that perhaps it was less the poets’ “filthy” language that inspired this outburst on the part of his nephew than how they did “often times envy and gnaw at the honor” of the Cecils. Though Burghley may have tolerated the Stage back in the 1560s when Philip II blamed him for the satires that were defaming his Spanish Majesty, it’s clear that by 1586, he was in the mood to trim both the London Stage and the commercial Press; perhaps cut them to the ground; perhaps uproot them entirely. It’s Polonius, accepted by all as a portrait of Burghley, who critiques the dedication of Hamlet’s poem to Ophelia: “To the beautified Ophelia”; “That’s an ill phrase,” says Polonius, “a vile phrase; beautified is a vile phrase.” We can be sure that this exchange has far more meaning than today’s so-called critics would give it. Seen from the perspective of English history, the Renaissance, when it finally arrived, had to find its way past the Reformation fears of Satan. This is the major reason for the form that it took in England, and for most of the literary anomalies that academics have failed to explain, including, first and foremost, the mystery surrounding the identity of the playwright who is easily found, had the slightest attention been paid to the evidence of history, deep within the Court community. Had there been any genuine attention paid to the history of the period, it would also be clear long since that Shakespeare was not alone in this, but that most of the literature produced during this first early Spring of England’s Literary Renaissance was produced by men and women who took almost exactly the same route he did, hiding their identities behind a flock of standins, supernumeraries, and initials. We need to approach the mysteries surrounding Shakespeare, of which his true identity is but one, others pertaining to the identities of the authors who wrote under the names Edmund Spenser, Thomas Nashe, Thomas North, Arthur Brooke, John Lyly, Robert Greene, and a dozen others. History will show where these are located in time, and who besides the authors were involved, the powerful and wealthy patrons who made these efforts possible, the publishers and printers who took risks in publishing them, all easily located once the background of dates, current events, known personalities and conflicts are in place. With the stage set by history, we’ll have a picture that no one can argue with. But to do that we need the help of historians. Those readers who seek an end to the questioning, the beginning of certainty, join in the quest for history majors, free thinkers who can see beyond the limits proscribed by the Stratford biography, probably located in London, certainly in England, individuals with access to the archives where documents never explored by authorship scholars remain to be examined. We need patrons with the wherewithall to provide funding for such a project, who can keep it moving until the university History departments––yielding to the thrill of establishing the great Shakespeare at the Court of Queen Elizabeth––open their doors to the authorship question. Urge schools to combine literature with history. By bringing a piece of the story of our lives to life with not just the events of the time, but the way the writers and artists who lived it then saw it, by accenting the story part of history, by connecting stories to the events that gave them birth, we’ll be putting the Humanities back on the road to importance. We’ll be turning fear into understanding, existential despair into acceptance and love, something has been the goal of literature ever since Plato set out to tell the world the truth about Socrates. It’s time we told the truth about Shakespeare to those who are ready to hear it, and quit trying to tell it to those who are committed to ignorance. Long before Plato, it was the poet Pindar who set the standard for poetry for the ancient Greeks. Both Shakespeare and Pindar are seen as the great poets of their nations and both were located at similar points in their nation’s histories. Both wrote during times of great national stress, Pindar during the threat to Greece from the Persian Empire (502-452 BC); Shakespeare during a similar threat to England from the south, Spain, and from the East, the Ottoman Empire. Much of Pindar’s work can be seen as an effort to broaden narrow local sentiments into a panhellenic awareness of what was good and beautiful in all of life; similarly Shakespeare worked, through his histories, to raise English awareness of themselves as citizens of a great and unique national culture rather than parishioners of a particular faith or servants of a particular lord. The careers of both took place at the very beginning of the supernovae of culture that would blaze their times forever in the hearts and minds of artists, scientists, and philosophers though subsequent ages. Both lived at the moment when their cultures first began to experiment with democracy, and neither were particularly happy with the prospect. 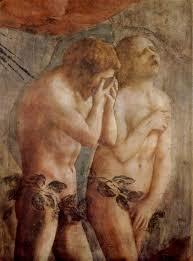 Both loved Nature, their works are suffused with their experience of Nature. Speaking, or rather singing, a chorus, Pindar gave his audiences the grand view, the opportunity to see life and events from the highest pitch, as did Shakespeare, speaking through his protagonists. Fennell’s comments on Pindar include: “the simplicity of his structure, the grace and freedom of his forms of expression, the impetuous, elastic movement of his verse.” He comments on his use of proverbs and his “rich” use of metaphor. Difficulties with understanding Pindar have mostly to do with the rapid stream of thoughts and images that he force-fit into the poetic forms he used, many of them so fleeting that translators must do a lot of guessing. As Fennell put it, “He deals in divers kinds of abbreviations, fresh combinations of words, inversions, and extensions of meaning . . . .” We see much the same situation with Shakespeare, in some cases where his syntax simply cannot contain the fullness of his thought at the speed with which he wishes to impart it; in others because the beauty of certain sounds takes precedence over precise meaning. As with Shakespeare (and Homer), the authorship of Pindar has been the subject of argument, but the fact that the voice heard in the odes remains the same and uniquely his has quieted most disputes, as should the same qualities in Shakespeare. As for the actual name itself, so many ancient writers were given names that varied from the names given them at birth, changed either by themselves for some reason, or more often by those who came after, many of whom spoke and wrote in different languages, a shape-shifting that would have been obvious to Oxford from his first ventures into Greek and Latin. Written Greek poetry begins with Pindar, possibly only as he was nearing the end of his life. Just so Shakespeare’s works, that had initiated the English literary Renaissance, were published only towards the end of his (Oxford’s) life, and only published in full after he was gone. Pindar saw great events, the victory at Marathon, Shakespeare saw the defeat of the Spanish Armada. Pindar’s poetry was written to be sung, whether by a single singer or a chorus. Shakespeare is full of song lyrics and breaks for music. Ovid, beloved of Shakespeare, showed his reverence for Pindar by naming the muse of his Ars Amatoria Corinna, the female poet who (it is believed) taught Pindar to write. Oxford’s tutor, Sir Thomas Smith, had Pindar in Greek on his 1566 library list.